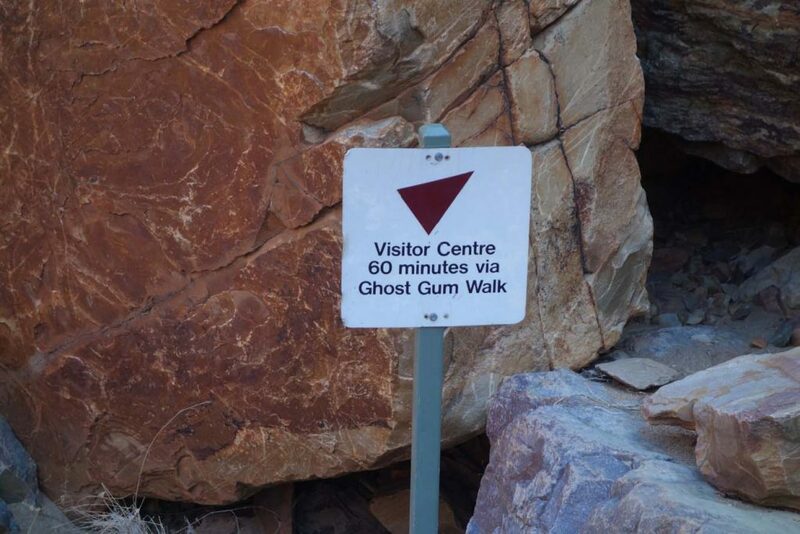 If you are walking the Larapinta Trail then this is a side trip worth doing that will add 1/2 to one day to your trip. 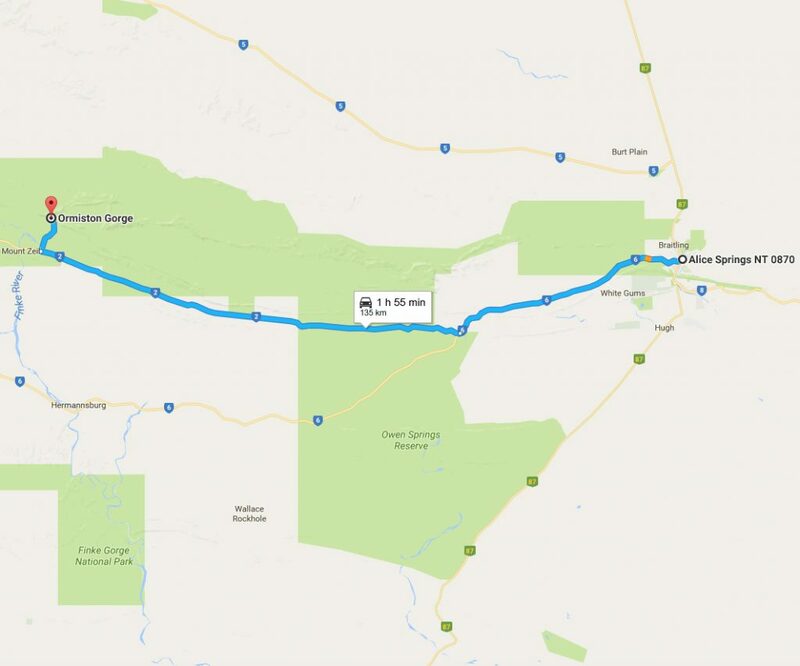 Alternatively if you are a day visitor, then Ormiston Pound is accessed via Ormiston Gorge which is 135 km by car west of Alice Springs. 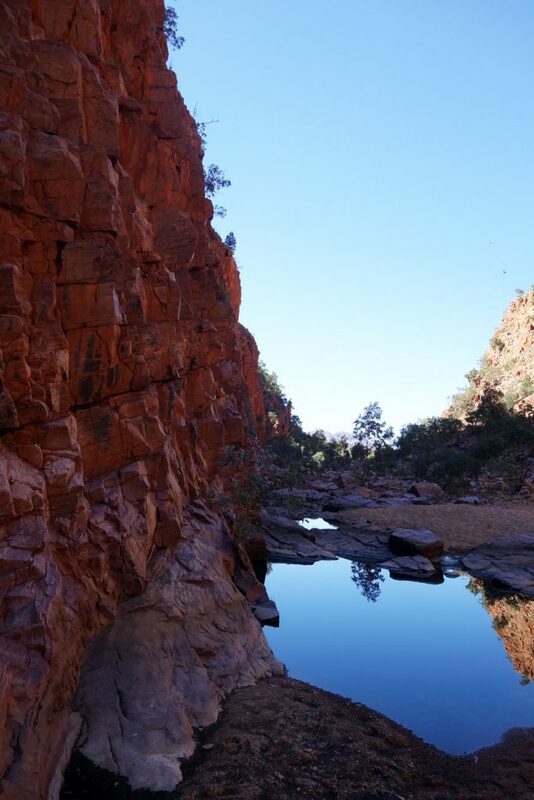 The road is sealed and in good condition all the way from Alice Springs. Turn off Namatjira Drive at the Ormiston Gorge turnoff. 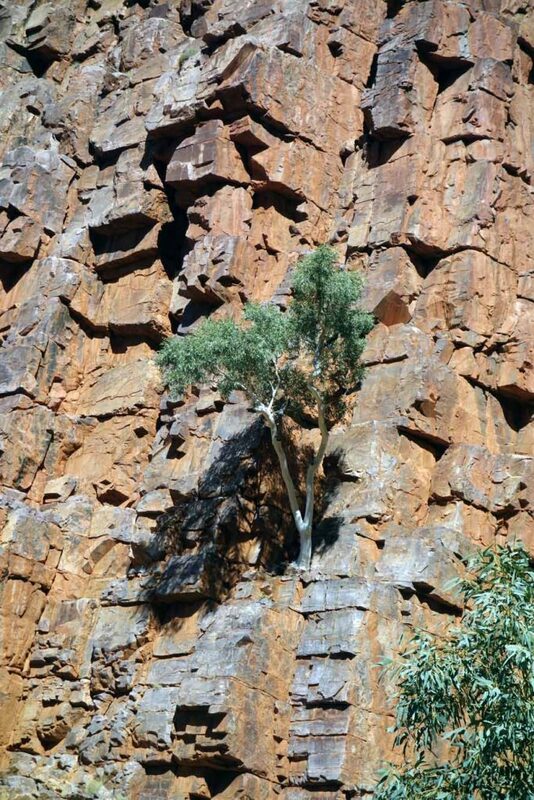 Ormiston Gorge is approximately 8 km from the main road. One of the best day walks in the West MacDonnell National Park. 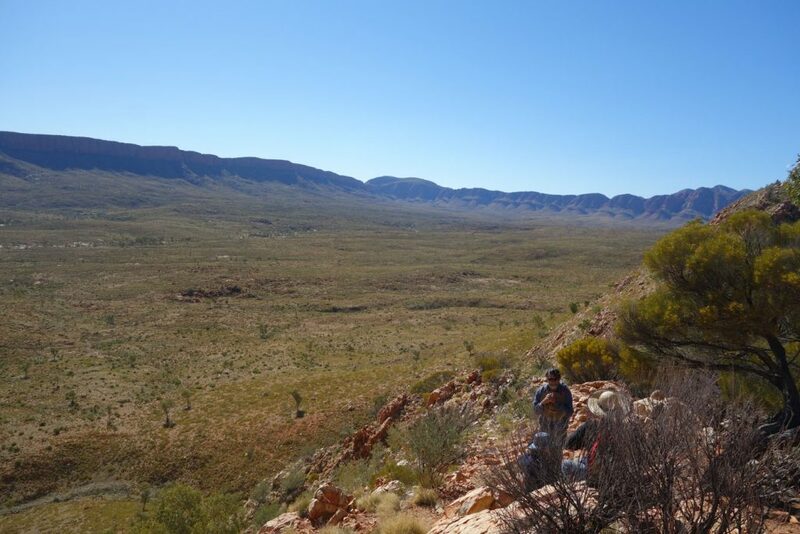 This is a good add-on option for those doing the Larapinta Trail and is accessible by car for those just wanting a day or overnight trip from Alice Springs. 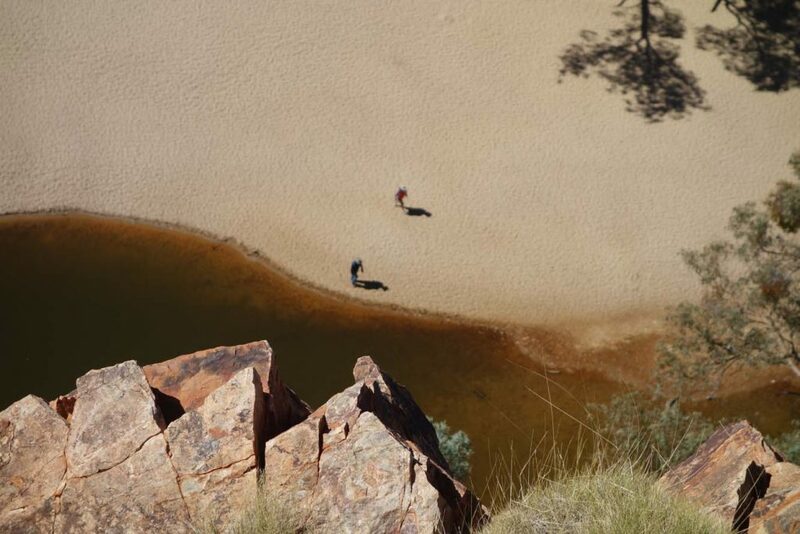 The Pound Walk is accessed via Ormiston Gorge which is a 90 minute drive from Alice Springs. 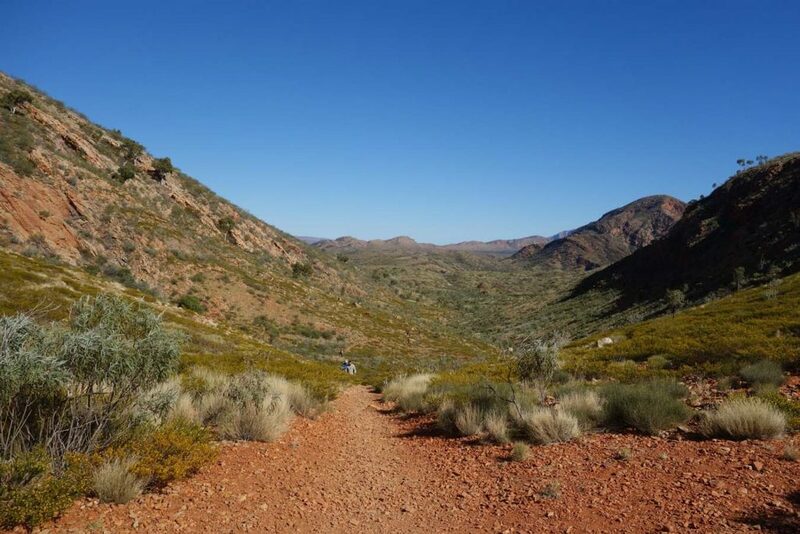 The walk itself is typical of the terrain on the Larapinta Trail but without the large rocks and ups and downs. The walk will take most walkers approximately 3-4 hours depending on how much exploring you feel like doing and is usually undertaken as a circuit. If you don’t feel like getting wet you can turn around when you reach the permanent waterhole. Unless there has been heavy rains you can usually manage to cross this waterhole but you will get wet up to about your thighs. And it is very, very cold! The best way to decribe the ‘Pound’ is as a huge amphitheatre surrounded by the hills and ridges. This walk only takes in the western end of the Pound but if you feel like wandering you certainly can do so and not have to worry about getting lost. If you do go off trail there is plenty of Spinafex so make sure you have the appropriate protection. The majority of this walk is through open terrain over a rocky surface so wear a decent hat as well as sturdy footwear. 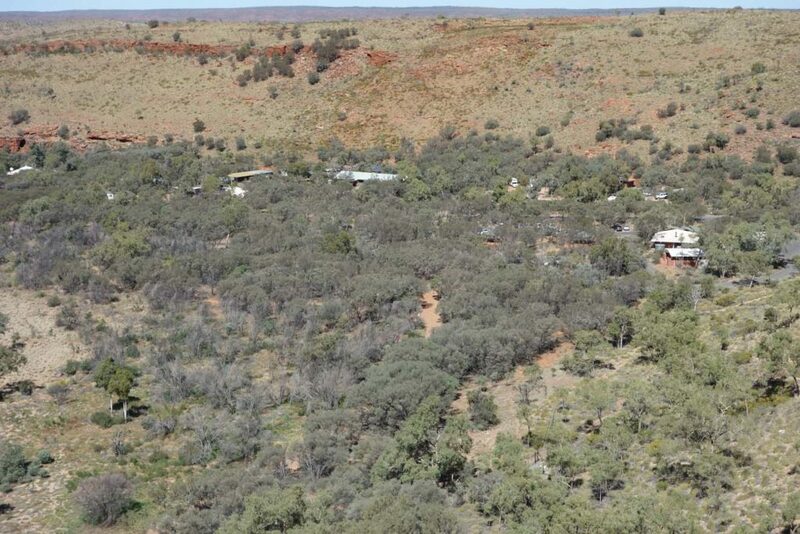 The walk is best done in an anti clockwise direction starting by walking along the Ormiston Gorge Access road and following the signs up onto a ridge which gives you panoramic views of the Pound. 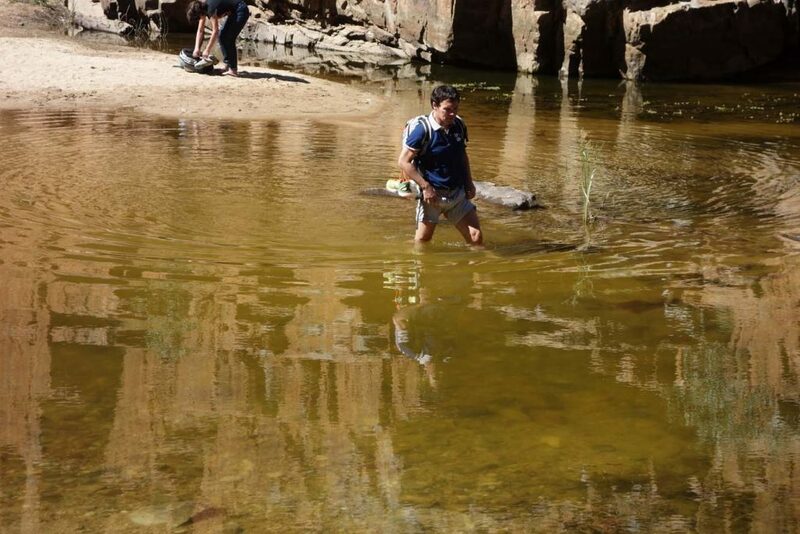 While this walk can be done at any time of the year, the summer heat can be oppressive but does make the waterhole crossing that much more enjoyable as the water is best described as freezing. Once you cross over the waterhole you can continue along the creek bed back to Ormiston Gorge or take the alternate route via the Ghost Gum walk (I would strongly recommend this) which provides for excellent views back through the gorge you have just walked and down towards the Ormiston Gorge complex.